John P. Genn is a vice president and senior trust officer for Tompkins Financial Advisors. He is responsible for developing estate planning strategies for clients, and works closely with clients’ legal, tax and investment advisors to design, implement and administer appropriate trust and estate plans. With over 30 years of industry experience, John joined Tompkins in 2015. Previously, he led the trust departments for two Hudson Valley regional banks. His experience includes trust, estate and investment services, new business development and administrative services. He started his financial industry career working part-time on Wall Street while in college. John received both his undergraduate degree and Master of Business Administration from Manhattan College. He has served as a member of numerous professional and community organizations. 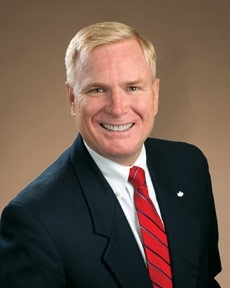 Currently, John is director of Hudson Valley Estate Planning Council, board member of Astor Family Services, and a member of the Legislative Action Committee for the Dutchess County Regional Chamber of Commerce. He resides with his wife in Pawling, NY, and is an elected officer with the St. John's Knights of Columbus, where he's been a member for 15 years. In 2017, John won "Most Trusted Advisor" at the Westchester and Fairfield County Business Journal's CPA and Financial Advisors Awards program.